WordPress is indisputably the most popular platform that lets you create visually appealing and feature rich websites. Web users around the globe love working with WordPress, thanks to its flexible and easy to understand architecture as well as the availability of hundreds and thousands of useful themes and plugins. However, keeping up with the state-of-the-art technology and trends has become a challenging task especially when you have to work on your website from the scratch. 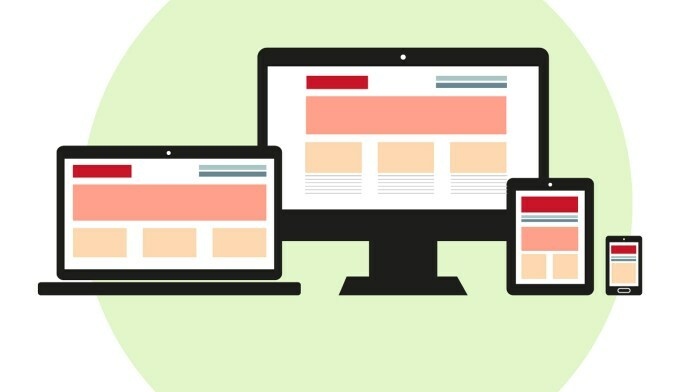 Responsiveness is one such trend that has taken the online world by storm. Though a majority of webmasters has tweaked their website design to create a mobile friendly version of their websites, there are still various website owners who are struggling to reach their mobile users. Therefore, to help you target your mobile users, we have pulled together some of the best responsive WordPress themes that can be used for a variety of purposes. 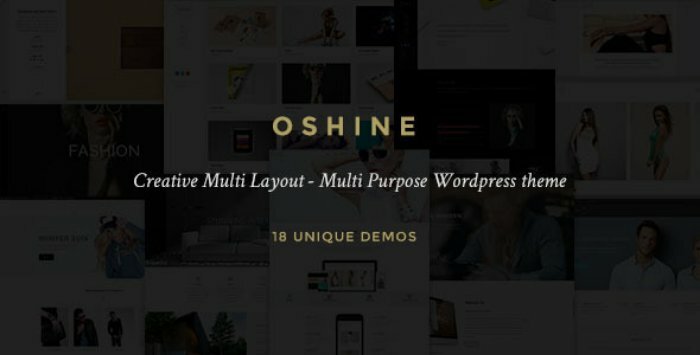 Oshine is an appealing, visually stunning, technologically modern and dynamic WordPress theme designed to create a variety type of websites including business sites, personal blogs, e-commerce stores and more. The theme features plenty of premium slider features such as full-screen slider, Carousel Slider, Master Slider, etc. 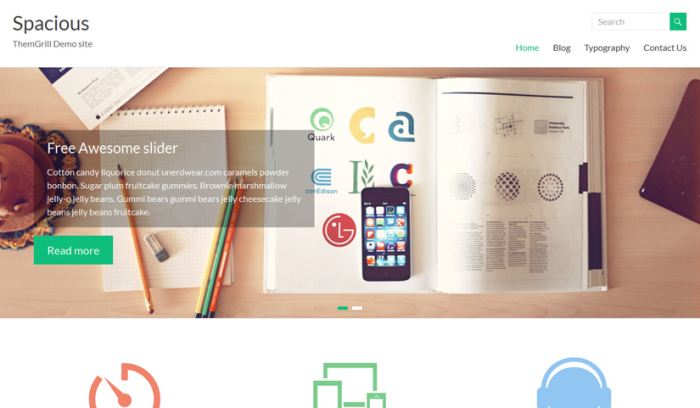 Create professional-looking layouts with the help of unlimited demos included in the theme. Comes with a powerful drag and drop page builder. Offers 10 different header layout combinations, 3 footer layouts, 3 body layouts and 5 menu layouts. Equipped with unlimited portfolios including 7 title styles, 8 hover options, gradient overlays, multiple columns, and more. 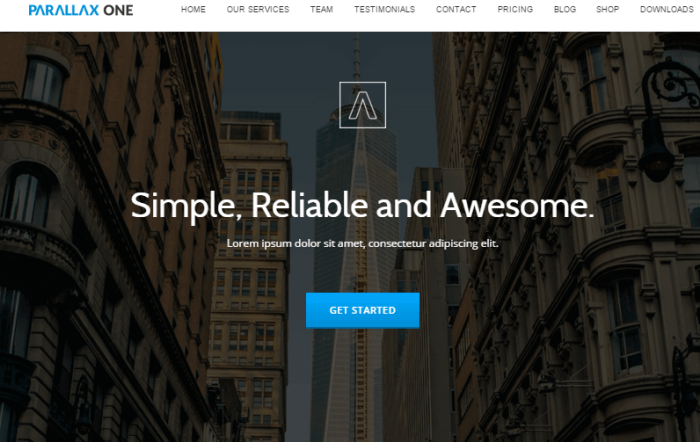 Parallax One is one of the most popular, simple and elegant WordPress themes that can be used to create any type of website. The theme boasts of a minimalist and clean design that puts your content first. Its elegant look is imposed by a parallax effect, justifying the name of the theme. This highly customizable theme comes with a modern appearance, a smooth scrolling, and a shop section. Boasts of a beautiful parallax effect. Integrated with unlimited custom logos, icons, and menus. Lets you choose from multiple color schemes. Has tons of social icons. Comes with Google Maps integration. 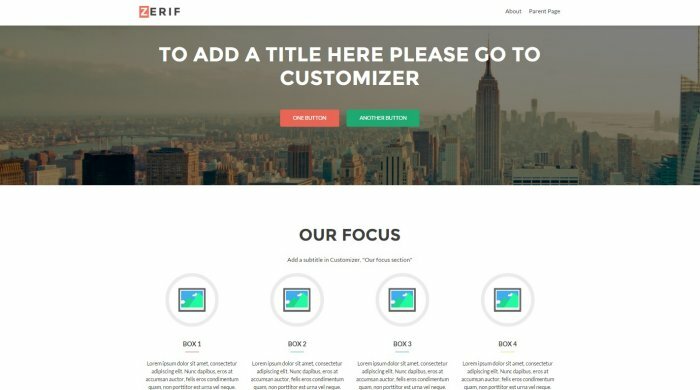 Zerif Lite is a modern and clean one page WordPress theme ideal for business and personal portfolio, product showcase, corporate sites, digital studios, and web agencies. The theme comes with a full-width background image along with a simple white menu bar at the top. It is also optimized for SEO and speed to ensure your website delivers utmost performance. While supporting popular WordPress plugins such as WPML plugin, WooCommerce and more, it works absolutely fine with various other plugins available on the market. Has a clean and validated code. Features a smooth parallax effect. Integrated with a powerful and advanced theme options panel. 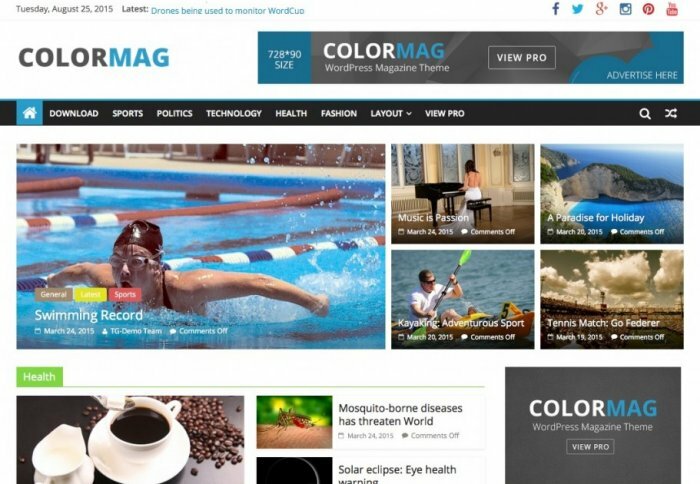 ColorMag is yet another popular WordPress theme well suited for publishing, newspapers, and magazine websites. The theme features a beautiful and elegant look furnished with an intuitive content structure, a featured slider, and colorful buttons. ColorMag also beautifully fits websites of any niche with its multipurpose design. Makes use of primary colors. Offers boxed and wide layout option. Comes integrated with 15+ widget areas and 5+ custom widgets. Equipped with 6 social icons to make your site social media friendly. 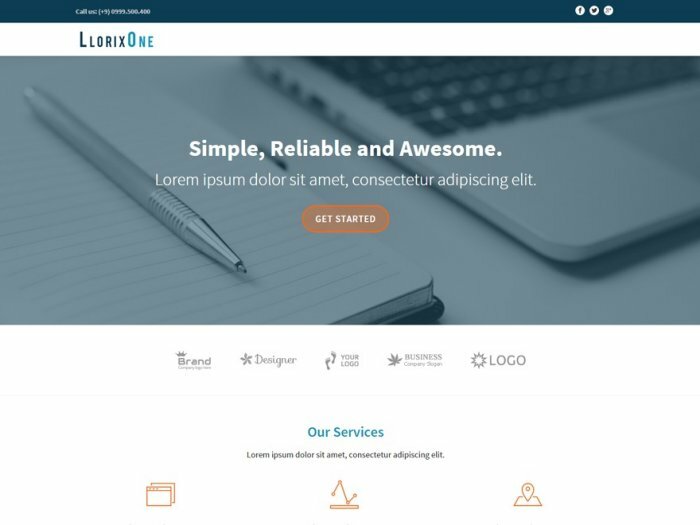 Llorix One is a well designed, multipurpose and engaging WordPress theme that helps you establish a strong and robust online presence. The smooth parallax scrolling effect integrated into the theme makes it even more professional and elegant. It also features colorful buttons and fonts to add a soothing effect. Has a one-page design layout. Integrated with social links, making your site social media friendly. Equipped with a customizable ribbon. 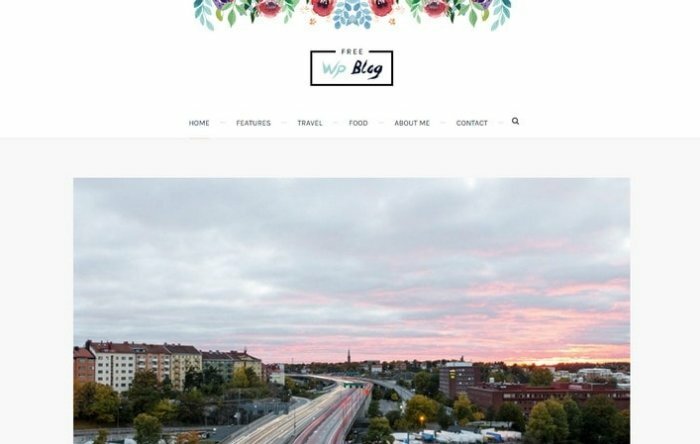 Spacious is a flexible, versatile and modest WordPress theme ideal for creating a blog, a business website or a personal portfolio. You can customize the visual appearance of your website with the help of plenty of customization options integrated into the theme along with multiple page layouts. Offers 4 slides in the slider. Has boxed and wide layout option. Equipped with light and dark color skin. Has multiple widgets and 6 different page templates. Lets you choose from a variety of color schemes. 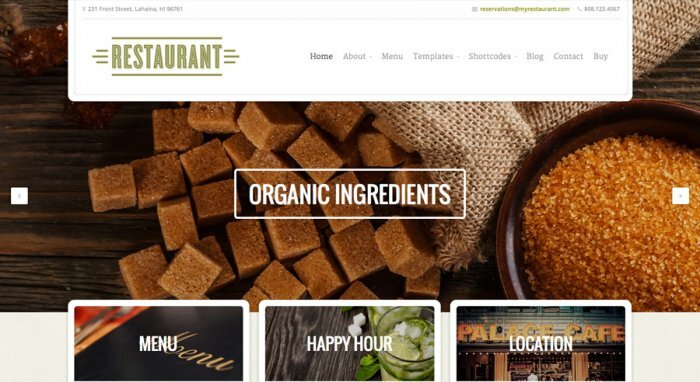 Restaurant Theme is yet another elegant and free WordPress theme that will help you attract a lot of users to your website. The theme has a beautiful and royal design well suited for culinary schools, recipe blogs, cocktail bars, European cuisine, coffee shops and other organizations and places dealing with food and drinks. Restaurant Theme uses light colors such as grey, blue, and pink to bring the friendly vibe in it. Has fully editable design layout. Equipped with custom post types and post formats. Equipped with more than 80 shortcodes. Offers multiple color options to choose from. Bento is an impressive, stylish and ingenious WordPress theme that offers a variety of customization options and a bunch of powerful features, allowing you to build a creative and innovative website of any type and niche. The theme is optimized for SEO as well as speed and follows best coding practices. Equipped with a visual content builder. Has unlimited color combinations to choose from. Integrated with powerful Theme Options panel with tons of customization settings. Photography Theme features a modest look that is sure to attract the attention of many web users. Being fully responsive and customizable, Photography Theme has a classic red and black color combination. The theme is designed to be used for a variety of purposes including interior design, wedding, beauty, fashion, art, dating, and of course photography. Has a fully customizable design layout. Comes with plenty of shortcodes. Equipped with multiple color options. Offers a wide variety of custom widgets. Palmas is the most advanced and innovative WordPress theme that has a simple and beautiful design. Palmas is designed to be used for a variety type of websites and integrated with an amazing featured slider. The theme depends on a full-width header that has a centered logo and a customizable background image. Has a fully customizable layout. Equipped with multiple color options to choose from. Offers an assortment of custom widgets. 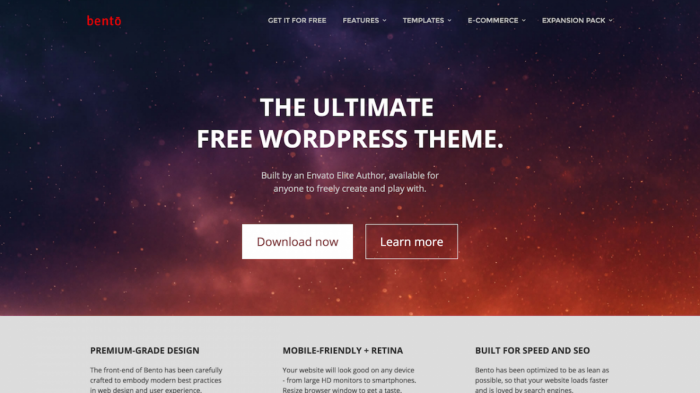 Do you have any other WordPress theme in your mind? If so, don’t forget to share it with us in the comments section below. Author Bio: Jason is a renowned web development professional who works with WordSuccor Ltd., a leading WordPress Theme Development Company with a global reach. For those who are looking to hire WordPress Programmers that can match pace with the competitiveness can count on Jason for it. He is a passionate blogger who loves to write and share everything about WordPress and new web design technologies.